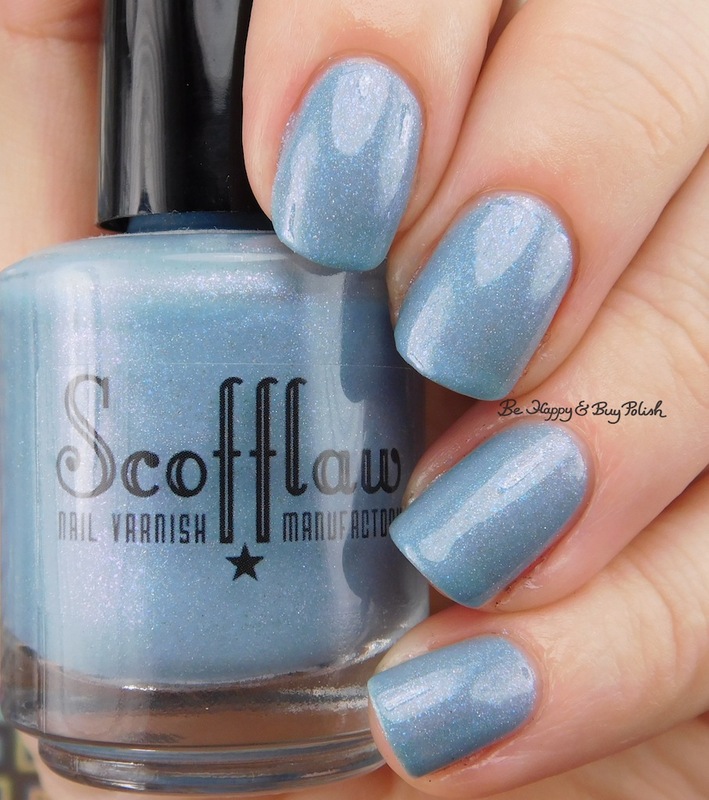 So every time I read the name of this Scofflaw Nail Varnish – I think of that scene in Little Mermaid where Scuttle is trying to sing to Eric & Ariel, except I imagine him screaming at Eric, “KISS HER! KISS HER!” in his adorable warble. Needless to say, it cracks me up! Seagulls Screaming Kiss Her, Kiss Her is a dusty blue polish with scattered holographic effect, blue and purple flakes. Formula is thin and sheer; it dries matte. This is 3 coats plus top coat. Since I’ve been in the mood for blues lately, this is definitely a keeper for me. Do you like it? Looks like a pretty nice color. Those little flakes are so pretty!